Rob Gronkowski’s future isn’t in the NFL for the time being. So, what’s next for the three-time Super Bowl champion? Another former NFL player thinks it could be a brief stint in the ring. Gronkowski, 29, announced he was retiring after spending nine seasons in the league. He’s touted as one of the greatest tight ends in NFL history and built an impressive resume which unfortunately included a number of injuries. He went as far as comparing the two head honchos alluding to the fact if Gronkowski can play under coach Bill Belichick, he can play — or in this case perform — for anyone. 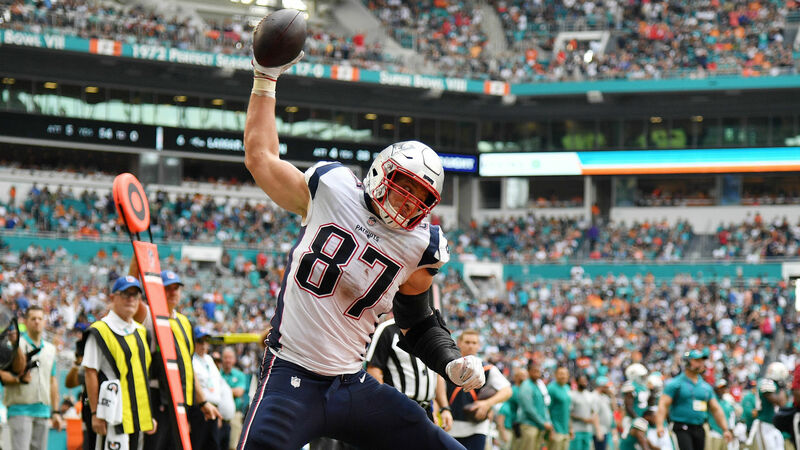 Gronkowski, who spent his entire career in New England, tallied 521 catches, 7,861 yards and 79 touchdowns in 115 career regular-season games. He exited as the Patriots’ career leader in touchdowns and is tied for the second-most receiving scores in postseason history (12). He also earned five Pro Bowl selections, four first-team All-Pro honors and the award for the 2014 NFL Comeback Player of the Year. And in the postseason, he had few peers. Gronkowski retired as the NFL’s postseason leader among tight ends in catches (81), receiving yards (1,163) and receiving touchdowns (12). Only Jerry Rice has more touchdown catches in the playoffs than Gronkowski.